Hosts still trailing by 137 runs to avoid defeat by an innings. 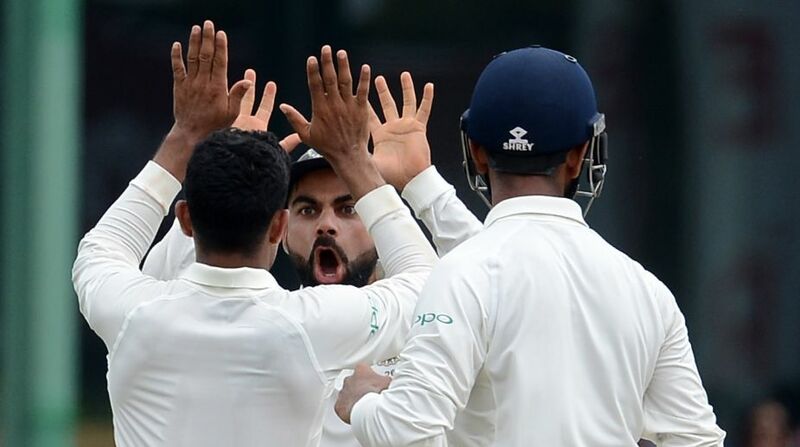 Sri Lanka were 302 for four in their second innings at lunch on the fourth day of the second cricket Test against India here. Opener Dimuth Karunaratne was batting on 136, while Angelo Mathews was on 28, as the hosts trailed by 137 runs. Sri Lanka: 183 and 302/4 in 91 overs (Dimuth Karunaratne batting 136, Kusal Mendis 110).